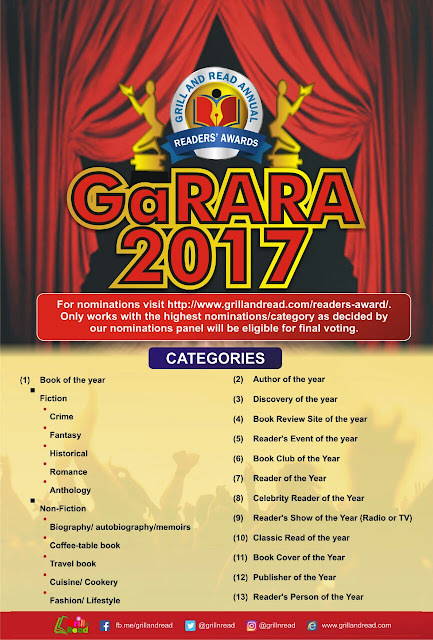 The Speech House International, initiators of Grill-And-Read programme are happy to announce a call for nominations for the inaugural G&R Annual Readers’ Awards (GaRARA). The awards seek to recognise the contributions of the reading community to the socio-economic development of the nation. The award also recognises that readers occupy a position of influence in the society and that their collective strength can be harnessed to bring about change in the way reading and writing are perceived. the following: Reader of the Year; Celebrity Reader of the Year; Readers Event of the Year; Readers Show of the Year (Radio/TV); Reader’s Person of the Year; Book of the Year; Classic Read of the Year; Author of the Year; Book Discovery of the Year; Book Review Site of the Year; Book Club of the Year; Book Cover of the Year; and Publisher of the Year. There will also be special awards for NGO of the Year and Spirit of Reading Award. 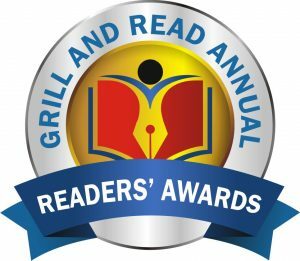 Nominations will be open from February 1 through to April 30, 2017. on www.grillandread.com/readers-award, they are to be based on books and literary activities in the outgone year up until December 31, 2016. All nominees and nominated books should be resident in Nigeria. Further information on the awards will be provided in the coming months.